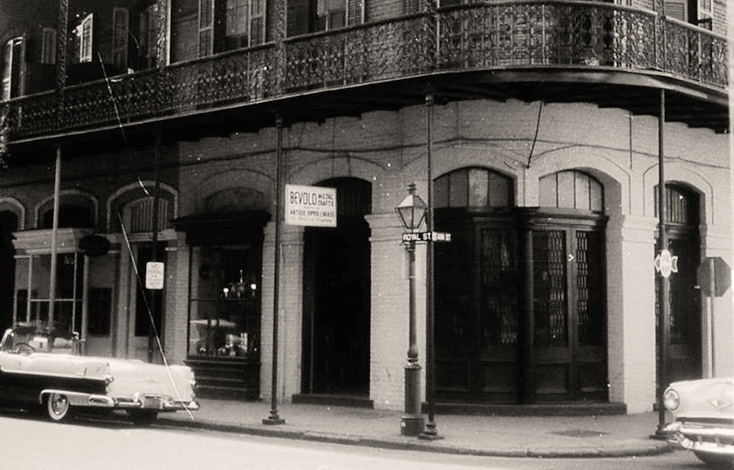 Bevolo Gas & Electric Lights began in the French Quarter in 1945 when Andrew Bevolo, Sr. revolutionized the production of gas lamps. 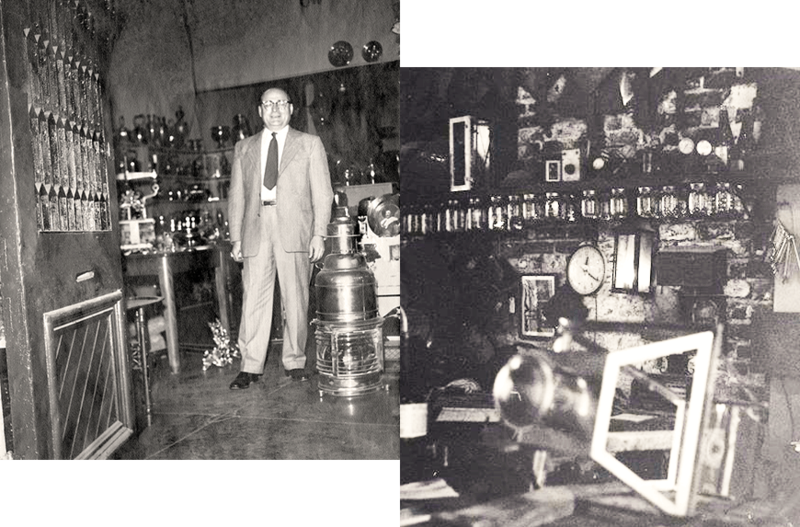 Andrew Bevolo, Sr. honed his metalworking skills while working for historic manufacturing companies including Ford, Sikorsky and Higgins. His master craftsmanship and artistic style were the perfect complement when paired with the talents of renowned Architect, A. Hays Town. 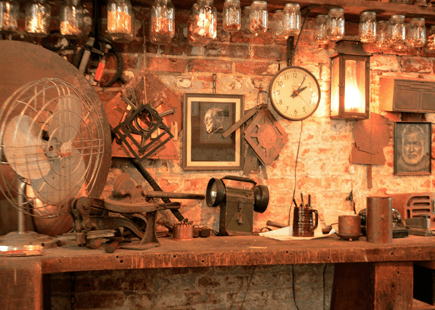 Together, utilizing a hand riveting technique rather than brittle soldered joints, they created what would eventually become known as the original French Quarter Lamp. Try taking a step through the French Quarter without catching a glimpse of this iconic copper lamp, and you will find it simply cannot be done. "Old world artisans were becoming harder and harder to find in an increasingly high-tech world." Fast forward over six decades later, and you will see that this innovative company is still going strong, and still producing each and every piece locally by hand. Perhaps this might have something to do with third generation owner Drew Bevolo's passion for the art form and his unique business education at the hands of his uncle. "After a successful stock broker career in Baton Rouge, I came down to New Orleans to help my Uncle Jimmy, the company's second generation owner, with the family business," says Bevolo. "The company was in a natural state of transition, as most of the old world artisans were becoming harder and harder to find in an increasingly high-tech world." 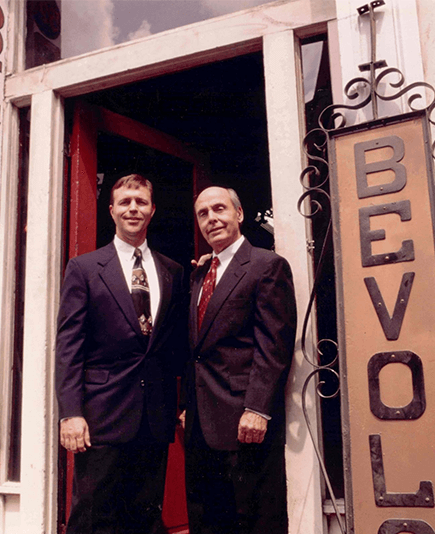 In order to reinvigorate the business, Bevolo soon found hard work and a unique hands-on education was in order. "My uncle brought me on at $100 a week," Bevolo recalls. "He insisted I start at the bottom. I did everything from welding to delivery. He was hard on me, and it was the greatest gift he could have given me." It did not take long for the hard work to pay off, as the company was rejuvenated and Drew Bevolo slowly took over the reins. 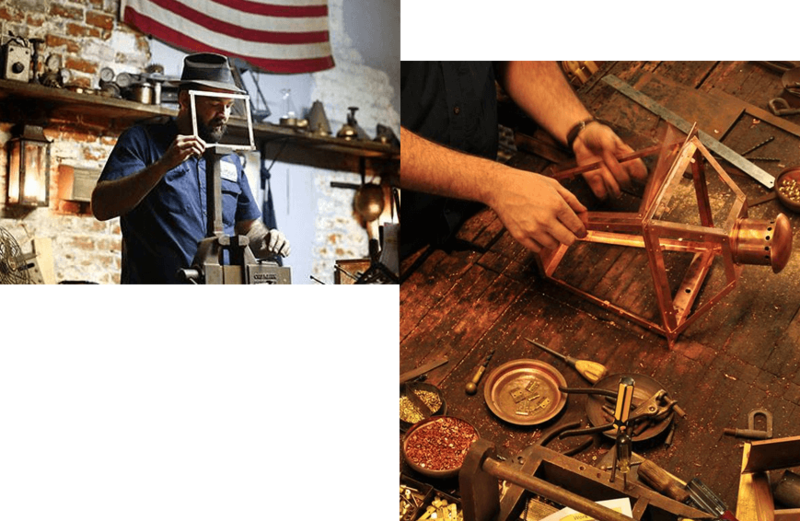 "My uncle gave me the gift of coppersmithing, I know I can talk to my employees about anything; any step of the process." What started out as a job in the family business soon grew into a passion Drew Bevolo fully embraces today. "Now I can't help but look at every light I see. "As the company grew, and as I grew with it, I knew our success would depend on continuing the high quality craftsmanship people expected from Bevolo Gas & Electric Lights. People recognize it. They know we have the best product." People trust Bevolo's quality and the proof shines bright through the French Quarter and beyond. Bevolo lanterns grace not only New Orleans Historic Landmarks, such as The Cabildo, Jackson Square and Brennanâs Restaurant, they have also been sold to customers in all 50 states and over 50 countries. The Bevolo family business has continued to branch out and evolve. Where would one be without the other? A true original creation of the French Quarter, Bevolo Gas & Electric Lights has embraced the romantic and artistic flair making this destination like no other. "The French Quarter lantern is a trademark of New Orleans," says Bevolo. "This company was born and bred here, using local artists and craftspeople." Fueled by a truly unique city, the flickering of the French Quarter lantern casts a romantic glow on a true and lasting art form, thanks to the Bevolo family.